This level has medium difficulty. 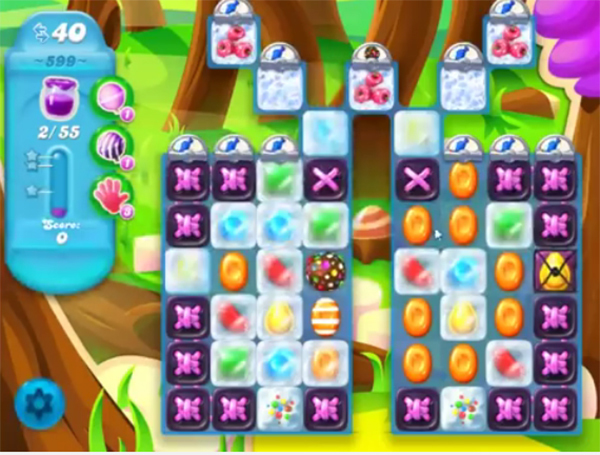 For this level try to combine colorbomb with striped candy to break more blockers. As you have more candies available to play then make more special candy to break more blockers or play near to Jam to spread it to near candies. I can get the jelly spread on the bottom of the screen, but not the very top ones. I guess it just depends on luck to get those. Oh well, I’ll keep trying.